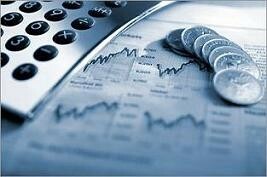 Ross Accounting & Financial Services Inc is a full service tax preparation and financial service firm. We take pride in the ability to combine tax and investment planning*, which allows us to provide you with the highest level of service at an affordable price. Important Personal Tax Dates to know:! April 18, 2017: Personal filing deadline or deadline to file an extension of time to file. Remember that all taxes should be paid by April 15th to avoid penalty on unpaid tax liablities for 2016. October 15, 2017: Personal - This is the FINAL filing date (if an extension has been filed). There are no further extensions available. Important Business Tax Dates to know:! March 15, 2017: S - Corporate filing deadline or deadline to file an extension to file. Failing to file the return or an extension could result in significant penalties. March 15, 2017: Partnership filing deadline or deadline to file an extension to file. Failing to file the return or an extension could result in significant penalties. April 15, 2017: C - Corporate filing deadline or deadline to file an extension to file. Failing to file the return or an extension could result in significant penalties. September 15, 2017: S - Corporate - This is the FINAL filing date (if an extension has been filed). 2017 tax law changes are under ongoing legislation (Use our Learning Center tab above for details). 401k contribution limits increases to $18,000 for 2016 and 2017. If age 50 or over, can contribute another $6000. SIMPLE IRA contributions are at $12,500 in 2016 and 2017. The American Opportunity Credit for college tuition tax credits has been extended which allows for up to $2500 of tax credits per dependent (limitations apply) ! The Child Tax Credit amount of $1000 has been permanently extended (16 years old and younger to qualify). Maximum capital gains rate increased from 15% to 20% for taxpayers with taxable income of $450,000 for joint filers or $400,000 for singles. The capital gains rate remains at ZERO percent for taxpayers in the 10% or 15% income tax bracket. There is a new 0.9% increase in Medicare tax on earned income for taxpayers with income in excess of $250,000 MFJ, $125,000 MFS and $200,000 all others. In addition to the 0.9% there is a 3.8% increase in Medicare tax for unearned income for taxpayers with earned/unearned income in excess of $250,000 MFJ, $125,000 MFS and $200,000 all others. The top individual income tax bracket has increased to 39.6% for taxpayers with taxable income of $415,050 or more ( $466,950 MFJ). Gift Tax annual exemption is $14,000. The 2017 Estate tax exemption is increased to $5.49 million but with an increased tax rate at 40%. The health insurance penalty for an individual starts at the greater of $695 or 2.5% of ADJUSTED income in 2016.. Section 179 Accelerated Depreciation is limited to $500,000 for 2017 but has other limitations. Under the new home office rule, you can simply deduct $5 for every square foot of home office space used, up to a maximum of 300 square feet, or $1,500. Habla espanol: Te gustaria hacer tus impuestos personales o de negocio con nosotros? llamanos y te hacemos un presupuesto sin compromiso.